Happy! 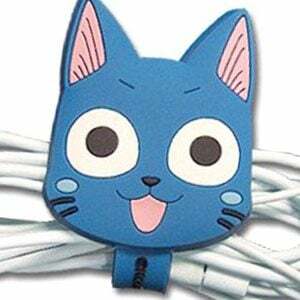 That’s what you’ll be when you capture your ear buds in this Fairy Tail cord organizer! This rubber gadget features a Happy head design and a snap-button closure to help prevent your ear pieces ever getting tangled again.